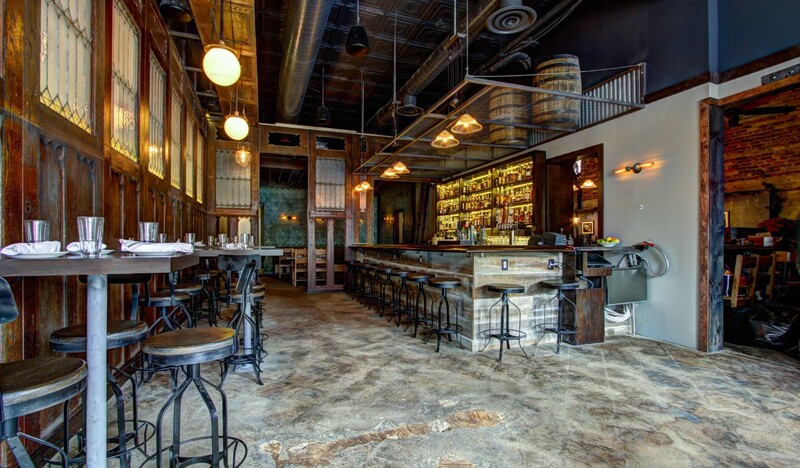 Hospitality Construction Services collaborated with Edit Lab at Streetsense to expand Boundary Stone, a popular Washington D.C. restaurant and tavern. Tasked with doubling the size of the kitchen and expanding seating areas to accommodate the American bistro’s growing clientele, the teams also worked together to create a concept that reflects the chef’s vision, food and service. 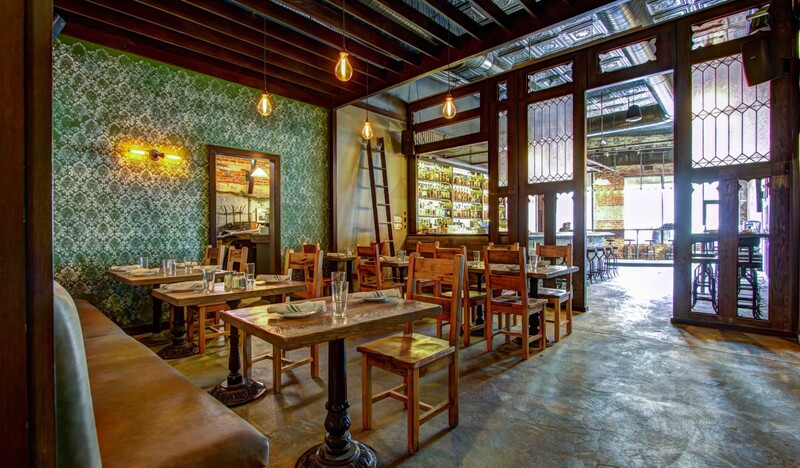 Hospitality Construction Services and the Edit Lab at Streetsense team had an elaborate task ahead of them—the clients wanted to mirror the design of the original restaurant in the extension, while keeping the eatery open for business. The first step in expanding Boundary Stone involved demolishing the hair salon next door. With the original eatery on one side, and another operating restaurant on the other, Hospitality Construction Services had to be careful when renovating because of working power and water lines. The system had to remain operable for its neighbors, and work had to be done during hours that minimized impact on patrons and their dining experience. So it was business as usual, with one exception—the 400-square-foot kitchen was closed down so the construction team could double its size and make it accessible from both the old and new dining areas. 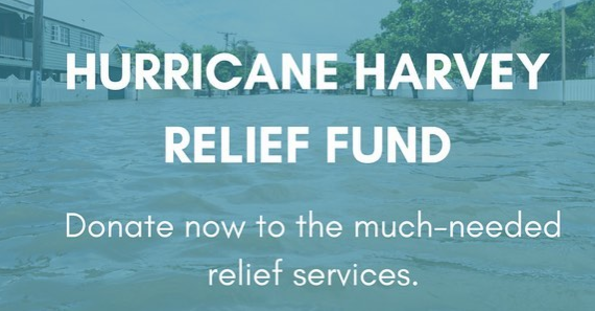 After demolition, the company updated the underground plumbing, poured concrete, built the framing, installed mechanical plumbing and electricity, and put in a full kitchen exhaust system and fire alarms. 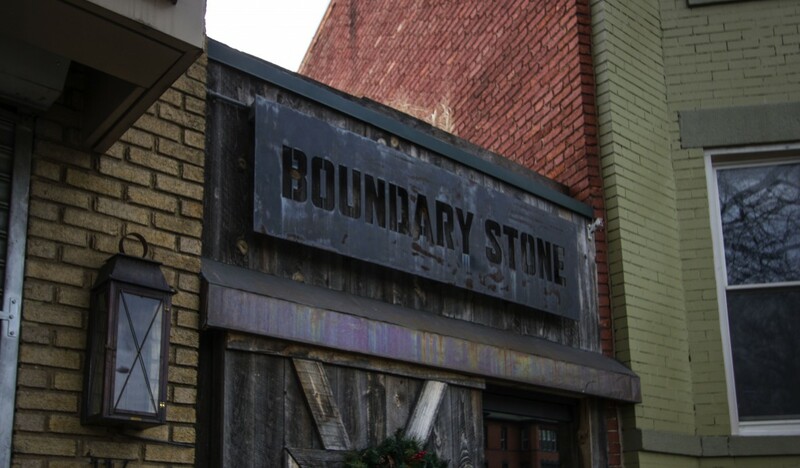 Hospitality Construction Services also installed the dark wood and metal that offer a rustic authenticity to Boundary Stone. Exposed air ducts run across the ceiling, providing an industrial edge that contrast with the warm furniture and building materials. At the back of the extension is a dining room, with beautiful green and white imperfect-stamp-patterned walls. 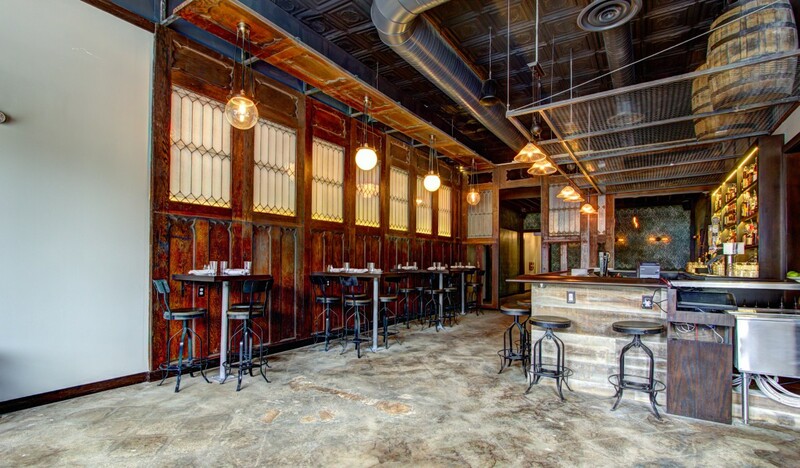 The dining room is separated from the bar by an antique wood and stained glass partition, which matches the wall siding found in the bar area. 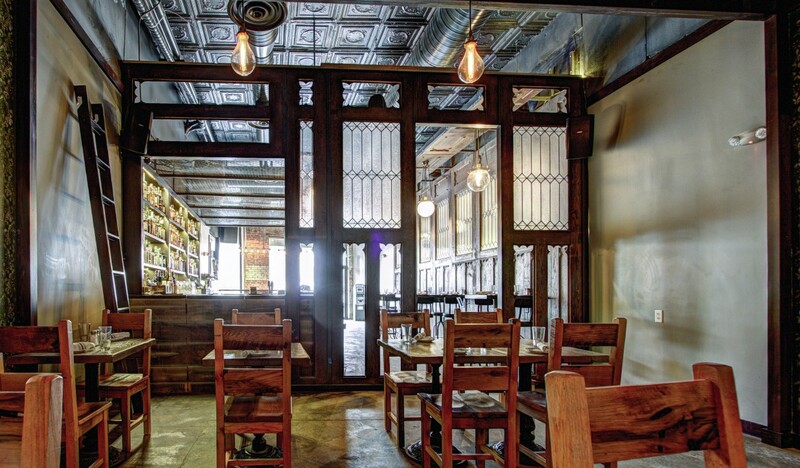 The partition and wall are comprised of reclaimed doors recovered from a barn in Maryland. Originally 38-inches wide and 14-feet tall, the doors were restored and cut down by four feet to accommodate the space. The extra material was then transformed into a hanging ceiling ornament. More design highlights: Each room features unique ceiling ornamentation that provides dynamic textures to the vertical space. 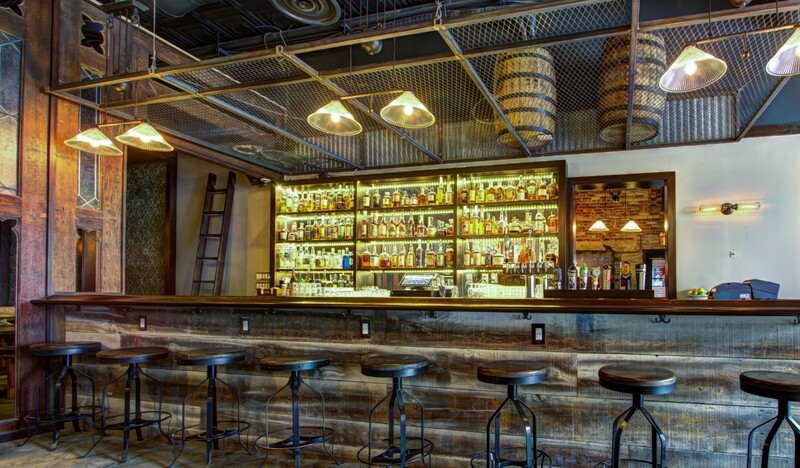 Over the bar sits a grated metal rack that functions as a shelf for decorative wine barrels. A wood trellis in the main dining area hides some mechanical equipment while providing an aesthetically pleasing support for lights as well. 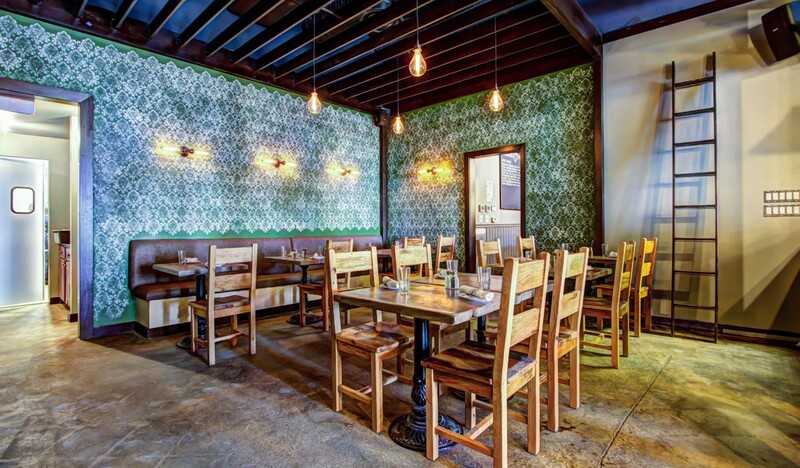 Large edison bulb pendants hang throughout the space, furthering the antique aesthetic of Boundary Stone’s new addition. Beyond the bar sits a small stage to host live bands. Hospitality Construction Services installed a top-of-the-line sound system to amplify the live music throughout the establishment. 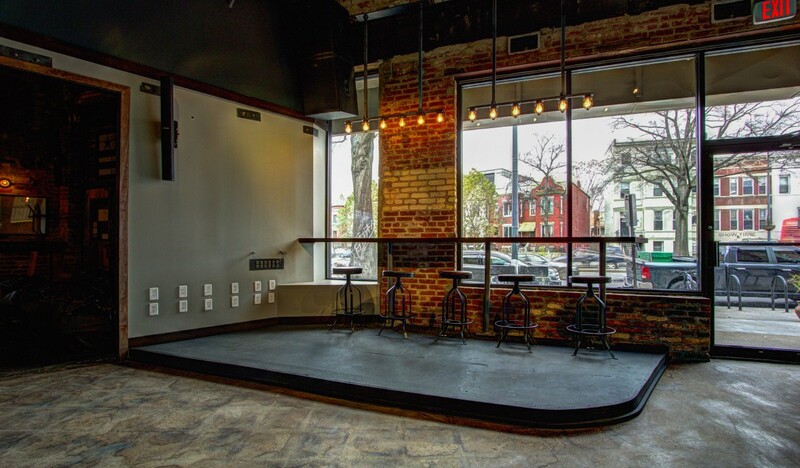 When not being used for performances, the stage provides additional bar stool seating along a wall of windows and exposed brick.